Welcome to our Mac OS X El Capitan review, updated on 16 February 2016. Apple has since announced its next desktop OS, macOS Sierra. For more on that, read our macOS Sierra review and macOS Sierra vs Mac OS X El Capitan comparison article. Apple's OS X is the operating system that all modern Macs run on, and the latest version, OS X 10.11 "El Capitan", was released in September 2015. Since its initial release, Apple has issued three updates (with a fourth on the way) to OS X, and OS X 10.11.3 forms the basis for this review. We've had four months to test out El Capitan, and its story has changed along with each new update. El Capitan introduced a few new features; some have become indispensable. Each OS X update has fixed some problems, yet many users report issues with El Capitan, and the speed and frequency of El Capitan software updates are a cause for concern. Rather than a radical re-imagining of OS X, El Cap is best thought of as an enhanced version of OS X Yosemite, in the same way that Snow Leopard offered an enhancement to Leopard. (And as with the OS X updates of 2007 and 2009, the clue's in the name: El Capitan is a rock formation inside the Yosemite National Park. We've rounded up some more Californian landmarks that could serve as names for future versions of OS X.) Apple's primary focus with this release is performance and stability, both of which should speed up tasks on a Mac. In fact, Apple is claiming that older Macs will see significant performance improvements. 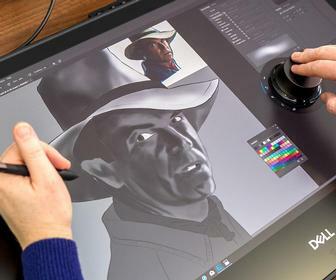 If that sounds boring to you, you'll be glad to hear there are a few new features too, and some much-needed updates to the accompanying software and the user interface. If our review convinces you to make the plunge, by the way, we advise you to take some time to get your Mac ready to download El Capitan before installing the software. Let's start with something simple but overwhelmingly positive, shall we? When you shake the mouse (or a finger on the Trackpad,) in El Capitan, the pointer briefly becomes enormous, enabling you to find it. This giant pointer is such a dumb-sounding feature that nobody paid it any real attention during the launch. Mostly it was treated as "and now for something completely different" in reviews, which is a shame - because it's ace. Four months on and El Capitan's 'shake to find' is the one new feature that we use relentlessly, and wouldn't want to be without. Perhaps it's the increase in screen real estate in recent years (we're currently using two 27-inch displays, and this seems pretty standard) but it's all too easy to spend moments hunting for the mouse. We've become used to shaking the mouse frequently to locate it. Beyond the Giant Pointer, El Capitan did introduce a lot of new functions that have stood the test of time. Notes. The update to Notes 4, in particular, has brought us to the app and away from rivals (such as Wunderlist or Evernote). The ability to create lists in Notes is a bonus, and we often use if for quick disposable lists of items (such as a shopping list). The ability to add videos, audio and PDFs have helped transform Notes into a throwaway text tool and a useful app. San Francisco. Moving from Helvetica to San Francisco was a big move for Apple (a system font replacement permutations throughout the whole system). For us, San Francisco is bolder and friendlier and more space-efficient. It was jarring at first, but now we're used to it. Mission Control. Apple's move away from overlapping windows in Mission Control has proved to be a good move. We find ourselves using, and enjoying Mission Control. The ability to get previews of Windows (by pressing the Spacebar) is a neat feature. We find the continued absence of windows that snap to edges and corners somewhat odd, but apps like Moom and BetterSnapTool replicate this much-loved Windows feature. Mail. If any app is falling short, it's Mail. Users report frequent bugs in Mail, from the app refusing to open or failing to import mailboxes to missing messages. Apple seems to have made a lot of under the hood changed to Mail, such as moving the Downloads folder. We find Mail's push sync erratic, sometimes leaving messages around and it frequently complains that we can't move or delete messages. Beyond the bugs, new approaches to Mail keep appearing on the App Store. Apps such as Sparrow, Mailbox and - more recently - AirMail, keep pointing to a new approach with swipes, snoozes and social media-esque interfaces. Read: Best Mac OS X email clients on the App Store. Disk Utility. While Disk Utility isn't buggy, it does feel like the removal of many key features has been detrimental. Disk Utility no longer offers the ability to repair permissions, or repair disks, or create RAID disks, or burn CD/DVDs. We find the slicker interface little comfort and have learned to use diskutil in Terminal for more advanced features. Some of these features are removed due to System Integrity Protection (SIP) and there is a great argument for not letting beginners handle disks, or change vital system files. As more advanced users, we find the limitations annoying. Spotlight. Your mileage may vary, but we still find performance in Spotlight to be too sluggish and have mostly stopped using Spotlight for the time being. Natural Language search remains impressive but often autocompletes annoyingly (we once typed "weather in Moorgate" for a test and now every time we type "weather" that's what we get). It's the little details that annoy. App Store. Apple's App Store app remains slow and clumsy with limited search and browsing functionality. One of the most interesting things about writing long-term tests are the features you no longer use. Two things in El Capitan jumped out to us as forgotten with the passage of time. Split View. One of the most vaunted features in OS X El Capitan was the ability to pin two screens side-by-side. Oddly, this feature we frequently use on the iPad Pro we just forgot about in El Capitan. It seems that using floating windows, or using the four-finger gesture to flick between full screens, are more convenient options than dragging windows together. Pinned Tabs. Another feature in Safari that we thought we'd use more than we do. Pinned tabs continue to load in the background, but after pinning Macworld, Facebook and Google we found ourselves typically going to the Smart Search Field to websites as before. Many users have noted problems with OS X El Capitan, which we've come to expect from most major software updates (it's always good advice to wait until the first update before upgrading critical work systems). What has surprised us is the speed and frequency of updates. We're now four months in from the launch of OS X, and we've already had three software updates, with a fourth (OS X 10.11.4) in beta testing and due to launch soon. Given that the most recent versions of OS X all maxed out with five updates, having four in the first few months strikes us as odd. It may be that Apple has moved to a faster, and more frequent update cycle for OS X, or it could be a sign that El Capitan has many unresolved issues. So far Apple has fixed countless Wi-Fi, Mail and Photos problems, fixed compatibility issues with Microsoft Office, and improved installation reliability. We were hoping that El Capitan would be the modern Snow Leopard, an OS with few new features but much faster and more reliable. El Capitan certainly is faster, but it's dogged by reliability issues. Here's hoping Apple fixes them all soon. Next page: Our preview of Mac OS X El Capitan, which was based on preview code before the software's final release, details many of the new features and updates in more detail. You can choose to hide not only the Dock but also the Menu bar at the top of the screen: particularly useful with small screen laptops. Also, Mission Control has been revamped: when you enter Mission Control (usually by pressing F3) you'll be able to see all the documents you have open as used to be the case in Exposé in earlier versions of OS X - in Yosemite documents associated with apps are gathered together, overlapping each other so it’s harder to select the Word document you wish to edit. Now all the thumbnails are distributed so you can see each individually. This change makes us very happy! Read more about the changes in Mission Control here. There's also a new full-screen mode called Split View that lets you have more than one app open at once. Split View in El Capitan will allow you to run two apps side by side. It's like the full-screen mode that arrived in OS X 10.7 Lion, but you can now view two apps at once: handy if you tend to dip in and out of different programmes during your work. It is probably the case that most people who don't use fullscreen mode don't use it because they are frequently switching between two apps, so this new Split View may appeal to them. To use split-screen view, click and hold on the green 'maximise' button in the window’s title bar and choose which side of the screen to display the app. Then you will see a Mission Control view on the other side of the screen, allowing you to choose the currently open window you wish to see in Split View. Split View has its fair share of quirks. One issue is that it's not always clear which app is active. This is because you won't see the window title bar or toolbar unless you move the curser to the top of the screen. If you're lucky you may spot the curser blinking in one of the apps. Here's How El Capitan compares to Yosemite plus, here's how El Capitan compares to Windows 10! Also getting a significant change is Spotlight, Apple’s tool for searching you Mac. One of the criticisms of Spotlight in Yosemite was that Apple moved it to the centre of the screen from the right hand corner, this gave Spotlight more space for its results, but people were frustrated that the Spotlight window couldn't be moved from its new location. Well, that's changed in El Capitan - you can click on the Spotlight result box and move it around the screen. We are disappointed that when you click away from the Spotlight results the box vanishes, though - we often find ourselves having to jot down conversions from Spotlight so we can copy them into a document we are working on. Now the box can be moved out of the way it is only logical that we should be able to keep it on the screen if we want to. You can also resize the results window. Spotlight also gets natural language search - which hints that Siri may be coming to the Mac. You'll be able to construct your search query in a more colloquial way, for example: "documents I wrote in July" or "emails sent by Ashleigh". The move towards natural-language queries makes a lot of sense because many people search using natural language queries because they don’t know how to search any other way; just look at the way people search Google. Spotlight also gains access to weather, stocks, sports, travel, and web video. Read more about Spotlight in El Capitan here. There were a lot of missing features in Photos 1.0 for Mac when it launched. Happily Apple has addressed that in the new version that comes with El Capitan. Most significant is the ability to edit image data both individually and in batches. You can add location information, batch-organise faces and batch-change title. You'll also find more flexibility for sorting albums - you can search by date, title and more. Photos will also support third-party image-editing extensions. Recent updates have added support for Live Photos, the animated photographs captured by the iPhone 6s and iPhone 6s Plus. Safari has had a few tweaks. The changes in the version of Safari that arrive with El Capitan (Safari 9) aren't as massive as those that arrived with Yosemite, but they have an immediate effect on the way you browse the web. The Mute Tab is perhaps the new feature that will make the biggest impact when you're browsing the web. If you have multiple tabs open and amongst those tabs are a few websites that are playing audio, you can tell which web pages are responsible for the audio just by looking at the tab, and mute the audio on any noisy tabs if you wish. Just click the sound icon. Alternatively, click and hold the sound icon to see a contextual menu, which gives you a chance to mute all the tabs in Safari from one place. Another new feature in Safari in El Capitan is the ability to 'Pin' websites. To pin a site, go to the site you wish to pin, and select Window > Pin Tab. Now the site’s icon will appear on the left of the Tab bar. It’s possible to remove a Pinned Site, just click on the pinned icon, and when the page opens select Window > Unpin Tab. Pinned sites are a little like bookmarks. You may be wondering what you gain from pinning favourite websites; after all, you can already add them to your Favourites and Hot Sites. One reason to pin a site you frequently access is that the site will be updated in the background, meaning it will always have the latest content loaded up when you open the browser. If you clicks on a link in a pinned site that leads to another page on that site the page will be loaded in the pinned site's tab, but if it’s an external link it will open in a separate tabs, keeping your pinned site right where it is. Also new in Safari are some new display preferences in the Safari Reader view. In the Yosemite version of Safari, you could make the text larger or smaller, in El Capitan you will be able to also choose from four colour themes and eight typefaces. Safari has also gained some improved AirPlay integration with the Apple TV. For example, you will see an AirPlay icon on any video that is compatible for streaming via AirPlay. Just click on this icon to stream the video to your TV via your Apple TV (assuming you have one). This will send just the video, you won't need to mirror your whole screen. There are also some change to the Develop menu, which will be helpful for web developers at least. You can activate it in Safari Preferences > Advanced. One of the new sections is Responsive Design Mode. It allows web designers and developers to see how a site will look on different iOS devices and screen resolutions. Keyboard shortcuts in Safari act slightly differently. If you press Command-1, Command-2, Command-3, etc on the keyboard it will open the tabs in the Tab bar rather than bookmarks in the Favorites Bar - this includes any Pinned Sites. If you had set up Favorite sites to open to a command press this could be frustrating. Luckily, the keyboard shortcuts for the Favorites Bar are still available, but now you need to press Command-Option-1, Command-Option-2, Command-Option-3, etc. In Preferences > Extensions you will find a new checkbox for automatically updating extensions from the Safari Extensions Gallery. And the View menu has a new Show Sidebar selection. I often use Notes on my Mac when I want to have a document that appears quickly and easily on my iPhone and iPad as well as my Mac. While it's easy to share things via iCloud the fact that this just works makes it appealing. Notes 3 in Yosemite didn't do very much. The formatting tools were basic. You can add images but other files will just appear as inactive attachments. It's a popular app, but probably only because it syncs with iOS, not because it’s any good. Luckily Apple is giving it some attention in El Capitan. Notes 4 in El Capitan and it offers a lot more features; in fact, it's more like Evernote or the wealth of apps in the App Store that help you take notes, create lists and more. When you open the app you see three panes: first is the folders, then a view of the Notes in that folder, then the Note itself. Your be glad to hear that there are quite a few more changes to the app to go along with this new view. First up you can now add videos, audio, and even PDFs to a note and view them there. There's also an attachment browser, another thing that makes it more like Evernote. This browser makes it easy to view any attachments you have added to notes, along with web links and map locations. Another new feature in Notes is the ability to make a checklist. Just select the items in your note and click on Make a Checklist. One more thing: you'll notice that the Share button in El Capitan includes Notes, so now you can send items to the Notes app. Probably the quickest way to get anything from your Mac on to your iPhone. Another change: the way that Notes synced with iOS in iOS 8 was different to the way it syncs in iOS 9. Rather than using the iCloud infrastructure to sync, like every other app on your Apple devices, Notes connected to a special IMAP mailbox in one of your connected email accounts. In El Capital Notes gets the full iCloud treatment. You can still sync via IMAP if you must, but there are advanced features - such as checklists - if you use iCloud. 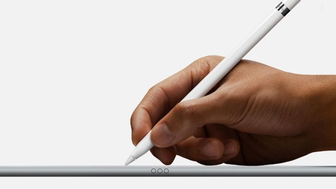 We are glad to see that Apple is giving Notes some attention in El Capitan. Read: How to use Notes on the Mac. With El Capitan, Mail has had a big update. Many of the changes will be familiar to iPhone and iPad users, while others should speed up day-to-day use of the app. It is easier to juggle multiple email messages in Mail 9. For example, if you are composing an email and want to check another message you can minimize the email you are drafting so that it goes to the bottom of the screen (similar to the way it works on iOS), access your email inbox, and find the other message that you want to use. Are you so popular that there are multiple email threads taking over your inbox? In Mail 9 it's easy to manage more than one email conversation, switching between active email threads using tabs - similar to Safari tabs. This makes it easy to locate the message threads that matter. The new natural language search also shows up in Mail, making searching for "emails from Ashleigh with photos attached" easier than ever. Swipe gestures in Mail for El Capitan make it easy to mark an email as unread, for example. Presuming you have a trackpad, it works in the same way as on the iPhone: swipe left to delete a message, swipe right to mark it as read. We'd like to see a few more gestures here, such as the ability to send a message to the archive or the ability to swipe to flag a message. Data detectors mean Mail will volunteer to add events to your calendar and contacts to your contact database (this isn't a new feature, but it is improved in El Capitan Mail). For example, Mail now adds banners in between the address field and the body of the message with data it has detected and possible actions to take. In another attempt to be useful, Mail will note that the email of the person who emailed you isn't in your Address Book and offer to add it. IMAP support also improves with Mail 9, giving it a new engine that makes it twice as fast, according to Apple. Mail also better prioritises message downloads, so you shouldn't have to wait for Mail to synchronise your messages before you can read any of them. Ideal if you are on a slow WiFi connection. Mail will prioritise new Mail in your Inbox, or will first download the messages of the mailbox you are currently viewing. Read our tips for using Mail on the Mac. Apple claims that in El Capitan, apps launch up to 40 percent faster, switching between apps takes half the time, and opening PDFs is up to four times faster. Some of these speed boosts are due Apple’s decision to bring Metal, the high-speed graphics technology launched on iOS last year, to the Mac. Metal is the graphics technology that was introduced in iOS 8. Metal will bring improved game performance and improved performance in processor hungry apps. Adobe has already committed to adopting Metal for its OS X apps and demonstrated how Metal has improved After Effects and Illustrator. Autodesk and The Foundry have also committed to using Metal and it is thought that using Metal will also drastically speed up the likes of Autodesk’s Maya. Metal for OS X is also great news if you're a Mac gamer: major game developers have already confirmed commitment to Metal, including Unity and Blizzard, as well as Feral and Aspyr who specialise in bringing Windows games to the Mac. Along with the performance enhancements coming in El Capital we expect Metal to have a real impact on this sort of processor intensive work. On the next page you can read about the features that were rumoured to be coming to El Capitan prior to WWDC including Control Panel and changes to iCloud Drive. Many of these rumoured features may still appear in OS X El Capitan.